Ask Old Masters dealers about the state of the market, and they invariably highlight the dearth of good material available. Andrea Lullo of the London-based dealer Lullo Pampoulides is participating at Tefaf Maastricht for the third time after graduating from the Showcase newcomer section. “The top ten old masters are impossible to source but there are plenty of other artists that buyers are curious about,” he said. Works shown on the stand include Domenico Fetti’s Melancholia (around 1615; asking price of €2m) and the sculpture Hercules on the Pyre (around 1702-03) by Guillaume I Coustou which was sold (asking price of €850,000). “It is always extremely difficult to find new material, and we always have to think about reaching higher levels next year,” said Jasper Hillegers of Salomon Lilian gallery in Amsterdam. Their stand was frequently crowded with visitors, with three sales made by the VIP preview day (15 March) including the dramatic portrait Cimon and Pero (Caritas Romana) by the Dutch Golden Age painter Willem Drost. Old Masters dealers must be more cautious in finding inventory says Guy Stair Sainty of the eponymous London gallery. “We would pick out around 15% of works in sales catalogues; now it’s around 1%,” he said. Two major museums had shown interest in an important painting by Simon Vouet, A Bacchanal (around 1635) which is priced at $3.5m. “Antiquities are still relatively affordable compared to other markets,” said Hayley McCole of Kallos Gallery in London which is showing in the main section of the fair for the first time. Sales reported by the VIP preview include a small-scale Greek bronze statue of Zeus, dating from the fourth century BC, which was acquired by a private European collection. Star objects have been wheeled out for Tefaf which is still considered a premier fair. Cybele gallery of Paris, specialists in Egyptian antiquities, is hoping that a seated figure of Hem-Min dating from the sixth dynasty (2345-2181BC) finds a buyer, priced at around €300,000. “We have seen lots of curators. People who come here want to buy,” said Jean-Pierre Montesino, the gallery founder. 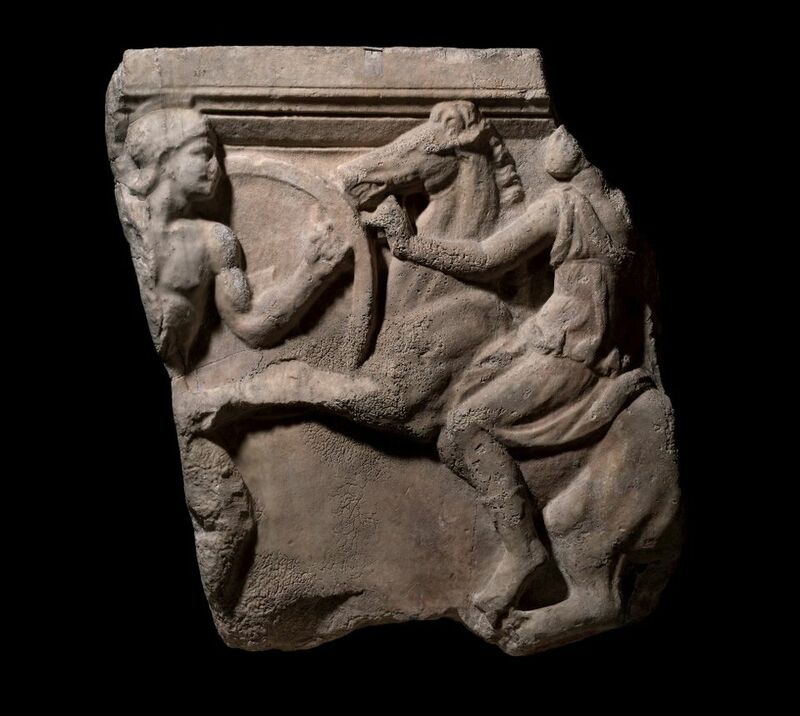 For Charles Ede gallery of London, trade was brisk, with four sales made by the end of VIP day including the star object, a Roman marble relief with Amazonomachy (around 225-250AD). The piece, purchased by a museum, was priced at €295,000. Other sales include a pair of Minoan bronze double axeheads (around 1,500-1,000BC; €3,700) and a Roman glass cameo of a satyr head (late first century BC; €19,000). Tribal art: will new blood sustain this niche sector? “There are no new collectors in this market but I’m optimistic,” says Didier Claes, the director of the eponymous Paris-based gallery. “The market has been strong, it’s gone up and up in recent years but it has now stabilised. By the end of the VIP preview, there were four red sale dots stuck to captions on his stand, including a 19th-century Statue Bakongo from the Democratic Republic of Congo. In contrast, a spokesman for Galerie Monbrison in Paris says that the market for tribal art continues to grow. 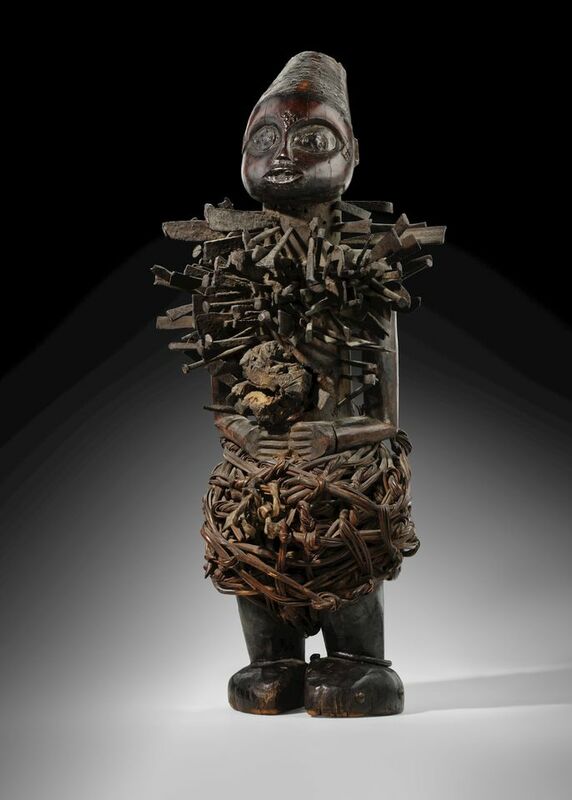 “We’re building bridges with new collectors who are moving over from the contemporary and modern art fields.” He pointed to a late 19th-century, figure from Papua New Guinea (€200,000). “The pattern on it is just like a Keith Haring design,” he said. For Amir Mohtashemi, a London-based dealer specialising in Indian and Islamic art, there is one issue that will have an impact on his market. Brexit, which is scheduled to take place 29 March, will “undoubtedly affect small businesses like mine”, he says, pointing to the implementation of possible tariffs. Tefaf is an important fair because “collectors want to be here. It’s almost like a filtering system for connoisseurs.” Price points for works on his stand, including a selection of Safavid bowls, are between €5,000 and €100,000. 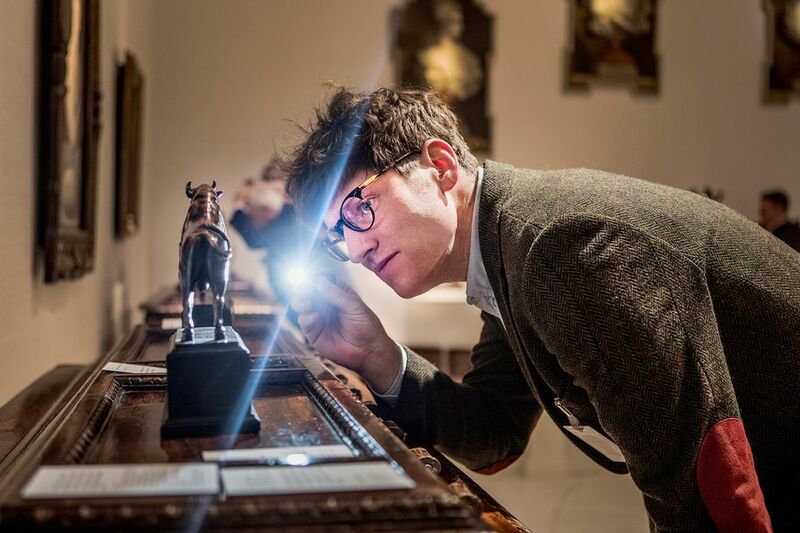 Museums were making their presence felt at the fair, with several antiques dealers keen to make their mark on curators browsing the aisles. “There are lots of museums here, such as the Getty [from Los Angeles],” said Christophe de Quénetain of Paris, who is also the chair of the fair’s antiques sector. He had sold two marble reliefs of Christ and Virgin (around 1700) by Jean-Baptiste Tuby, priced at €120,000. 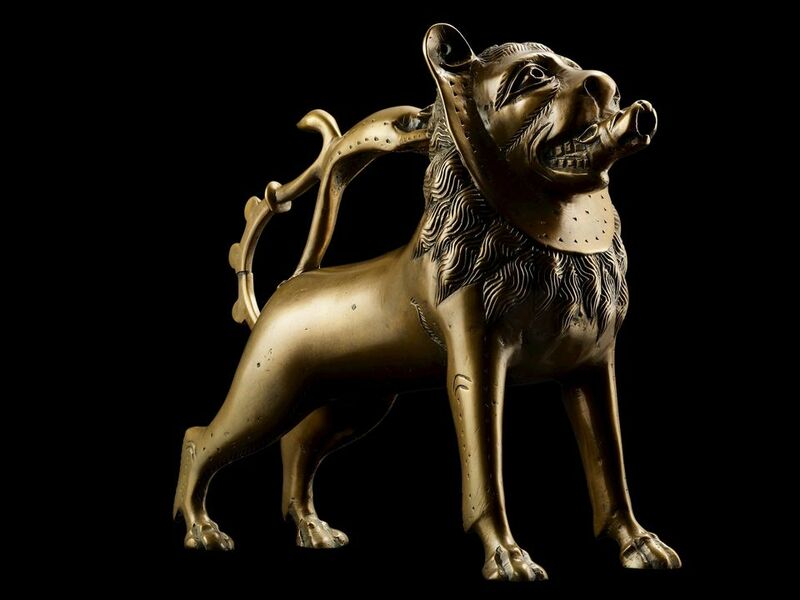 “The Met is here,” said Anthony Blumka of New York’s Blumka Gallery which had sold a 14th-century, north German Lion Aquamanile, made of copper alloy.